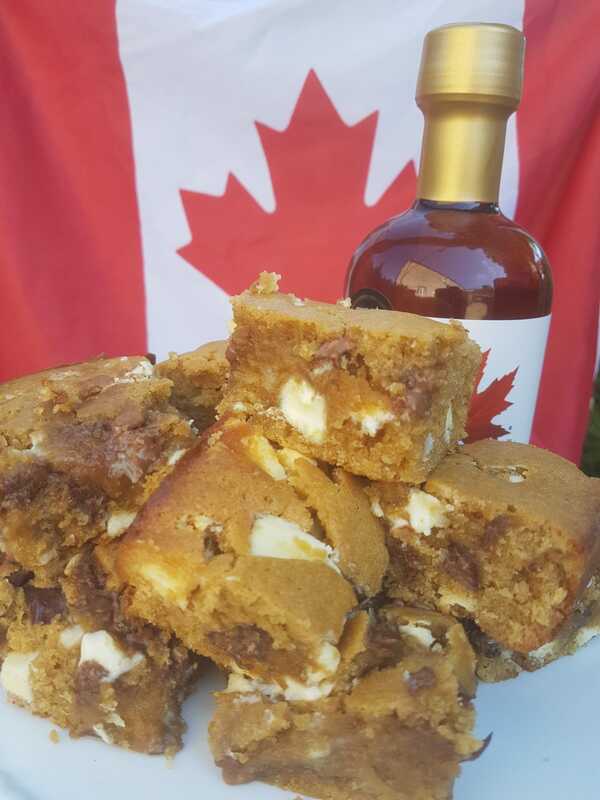 For a healthier indulgence why not try our Pure Maple Blondies this Canada Day! Made with 100% Pure Maple Syrup, the all natural ingredient straight from the tree! Preheat the oven to 200C and line a 20cm tin. Melt the butter in a large bowl and allow to cool while sifting the dry ingredients. Chop up the white chocolate into large chunks. Add the maple syrup, vanilla extract and beaten eggs to the cooled butter. Gently fold on the dry ingredients into the butter and maple syrup mixture being careful not to over mix. Pour into a prepared tin and bake for 20 – 25 minutes until golden and the centre is slightly soft. Place on a wire rack to cool and then cut into squares.